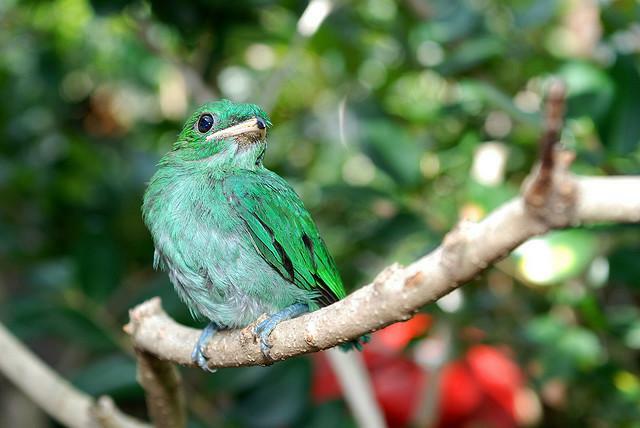 Once there was a small bird who lived in the Lincoln Park Zoo in Chicago. His name was Frank. 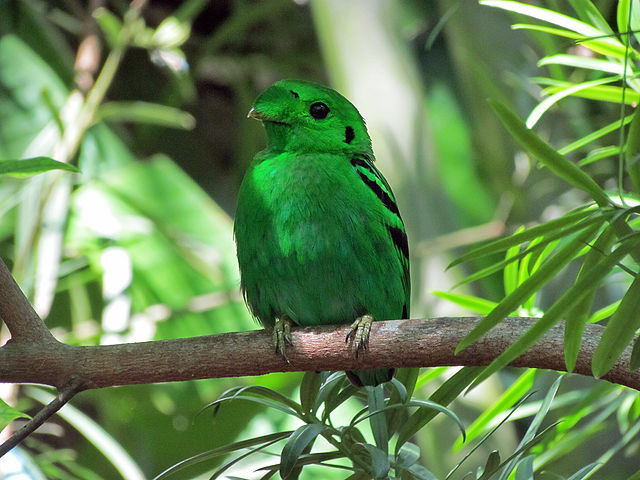 Frank was a Green Broadbill, and originally Frank had lived in Asia before being taken to the zoo. Frank was happy because he was kept in an exhibit with many interesting birds just like himself. Because he had such a bright green color, people would often find him interesting to search for in the exhibit. Frank would often watch the different people who came to the zoo. Many times people would take pictures of him because they had never seen a bird like him before. Frank enjoyed it when people noticed him. Most of the time he would fly around the exhibit to different high spots for people to capture nice shots of him. Other times Frank would fly really close to the people. But sometimes Frank became tired of flying around. He thought that maybe there could be another way for him to get about. One day Frank was sitting on a branch high up in the exhibit so he could see a large part of the zoo. He watched one of the workers carefully drive a golf cart with buckets of food to feed the animals. Frank suddenly had an idea. If he were to drive the golf cart around, people were bound to notice him even more than they did already. Frank watched carefully as the worker stopped the golf cart in front of his exhibit. He waited until after the worker had fed all of the birds and watched as the worker started the golf cart up again and drove away. It seemed simple enough to drive. The next day Frank waited patiently as the worker came back to feed the birds once again. Once Frank was sure the worker wasn’t looking, he flew over to the golf cart and twisted the keys the way he had seen the worker do the day before. He flew down and pressed the pedal to the right like he had seen. The golf cart shot forward a little bit. Frank began flying back and forth rapidly in order to steer and press the pedal. Unfortunately, he didn’t get very far before the worker noticed the golf cart had begun to drift forward. The worker stopped the cart and shooed Frank out. Frank flew back to his branch. His plan hadn’t worked very well. However the next day Frank woke up to see many different people gathering around him. They were all incredibly excited and were taking multiple pictures of him. A news reporter was filming footage of the entire spectacle explaining to the camera how Frank had been seen driving a golf cart around the zoo. The news reporter explained that someone had taken a picture of Frank driving the cart and had sent it to the local newspaper. The news reporters had discovered it and decided to do a story on it. After hearing the reporter, Frank understood what was going on and was extremely happy. He was famous. But eventually the crowds stopped coming. Frank realized, however, that even after the big story the same people would still come to watch him. He decided he was appreciated no matter what. From then on, Frank wouldn’t try to do anything unusual so people would notice him, especially driving golf carts. Well, Emma, you have done it again. 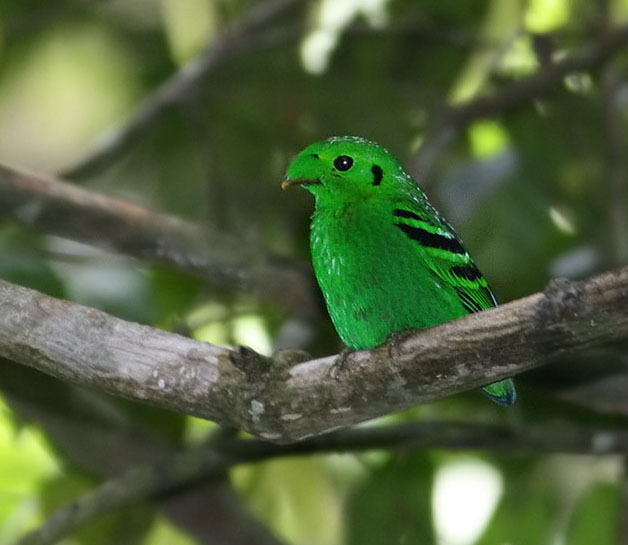 What a delightful story, especially, because Broadbills are some of my most favorite birds. 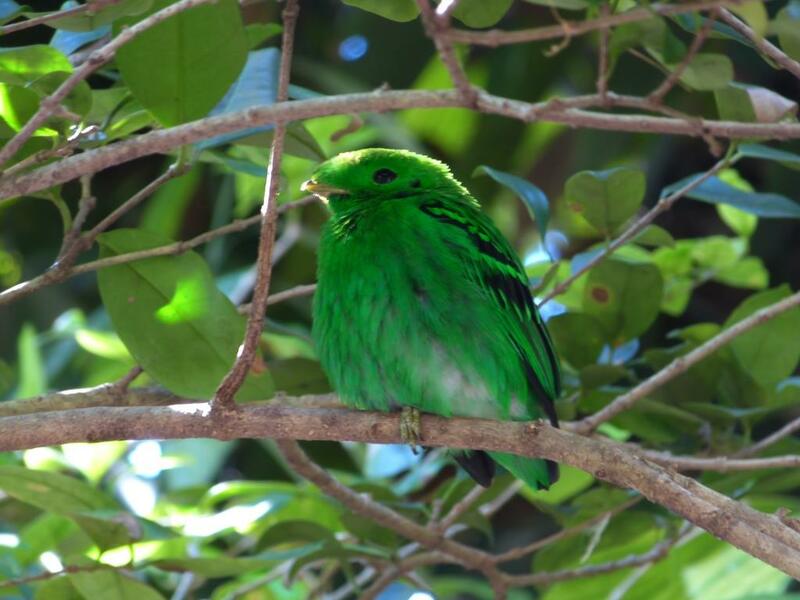 We saw a Green Broadbill in the Wings of Asia at Zoo Miami. He was very friendly, like your Frank. Set right out near us. We weren’t in a golf cart, but maybe he was watching our cameras. Maybe he was thinking that taking pictures would be easier than driving.